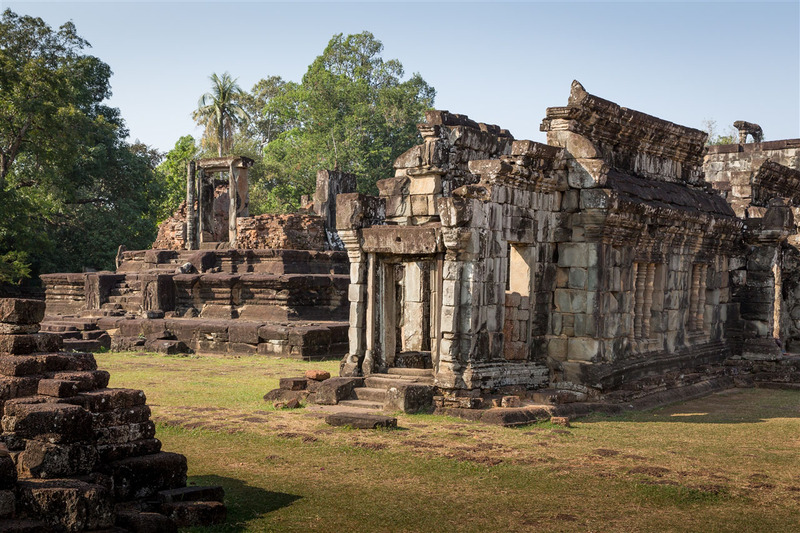 Bakong is part of a group of temples known as Roluos, so called after a nearby village of that name. 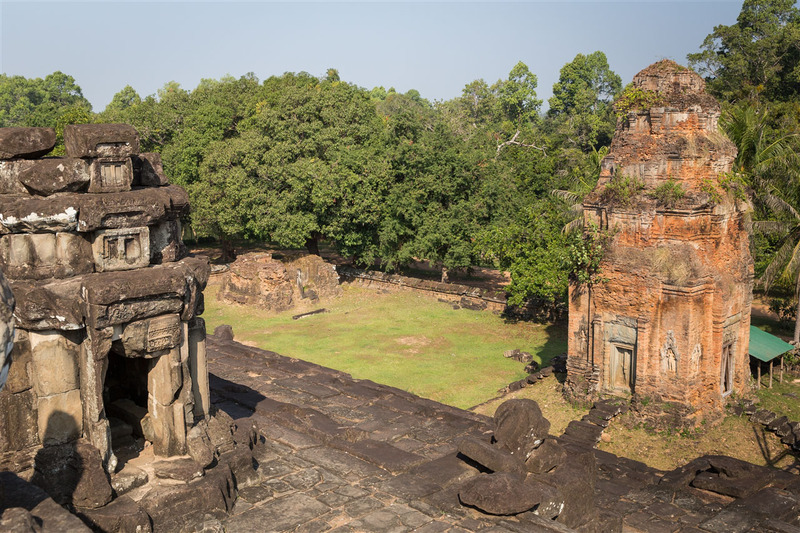 The monuments of the Roluos group are dispersed over the former site of the royal city of Hariharalaya, and contain some of the earliest structures of the Angkor period. 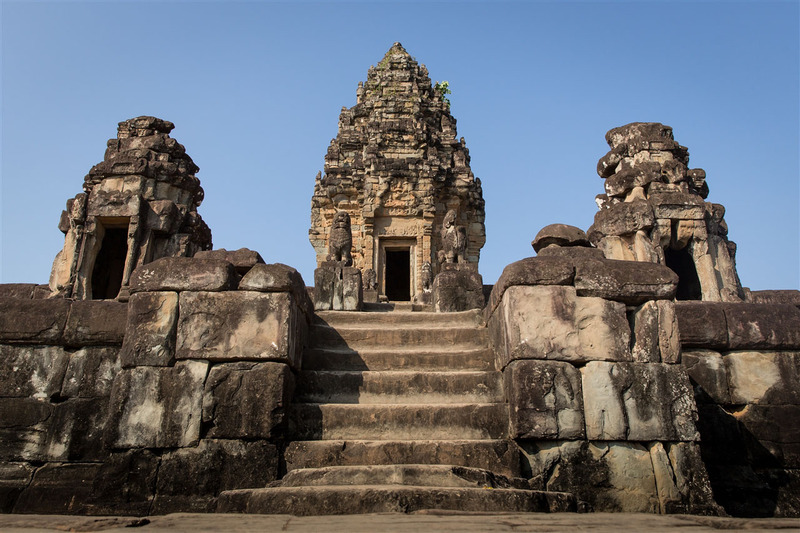 The Bakong is thought to be the first state temple of the Angkor period, having been constructed by Indravarman I in 881 A.D and dedicated to Shiva. The central sanctuary is a later addition, built some 250 years later and restored in the late 1930s from the original masonry. The outermost enclosure has the remains of 22 brick towers, now set within jungle and rice fields and contained within a moat. Within the first enclosure are the remains of eight further towers, some with false doors (stone carved doors), the north-east tower even has a false door with false carved handles ! The pyramid at the center has five tiers with a single tower on top, the fourth tier contains a further twelve small sanctuary towers that would have once housed linga. 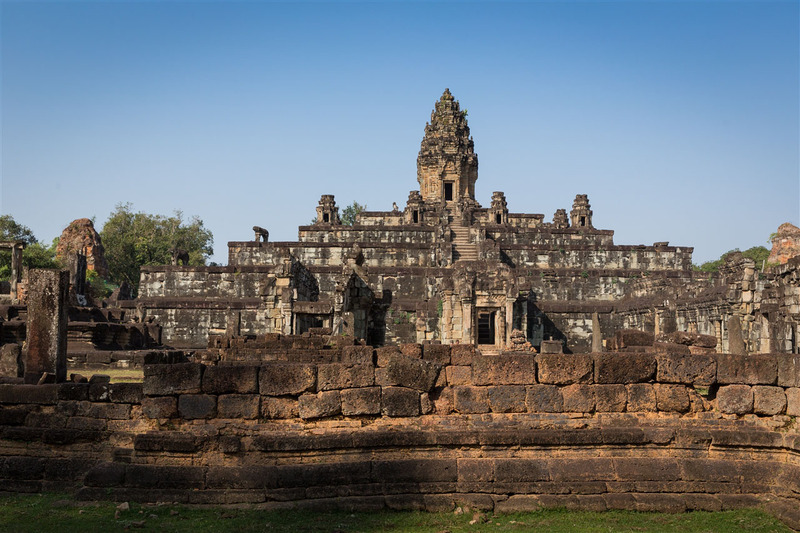 Unlike structures built in the later Angkor periods, Bakong does not have many carvings to look at. The pyramid at one time must have been covered with bas-relief carvings in stucco, but today only fragments remain. 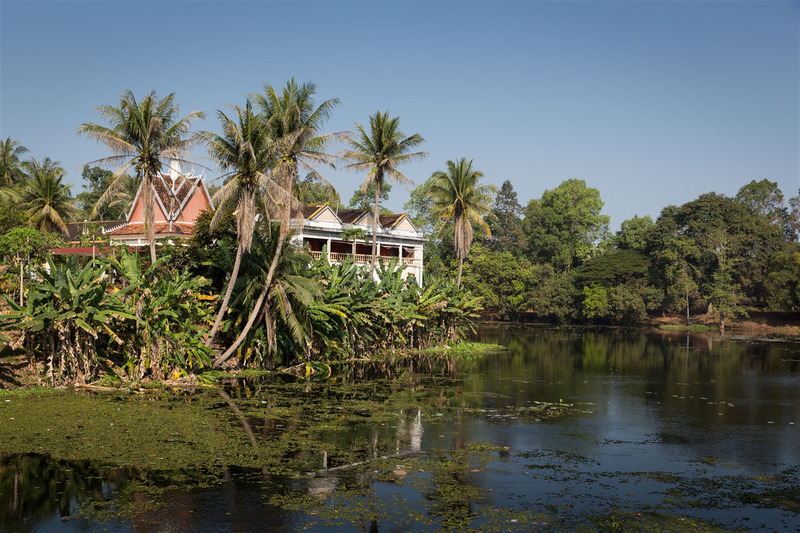 However, it’s close proximity to Preah Ko means you can visit both sites at the same time, possibly as a short detour on your way to the impressive Banteay Srei. Beautiful pictures of a magnificent temples . these are the evidence of the common culture of India and bangkok. Not the mordren tourist attractions. Salute to the sailers that have sailed from ancient India to many island in the Indian ocean spreading the culture of India.